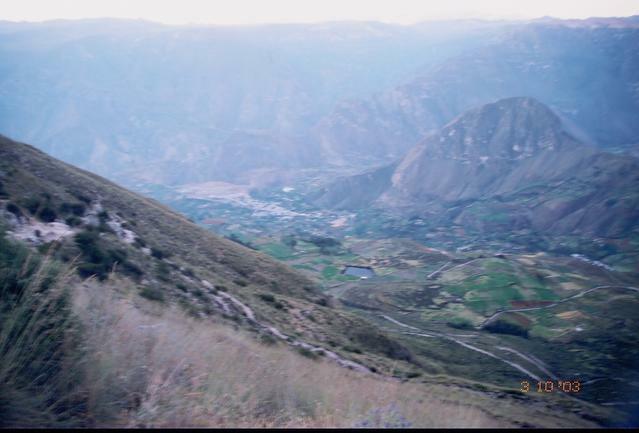 In May of 2004, Prof. Michael Malpass and Prof. Daniel Sandweiss led a team of archaeologists from the University of Maine and Peru to conduct archaeological research in the Cotahuasi Valley of southern Peru. 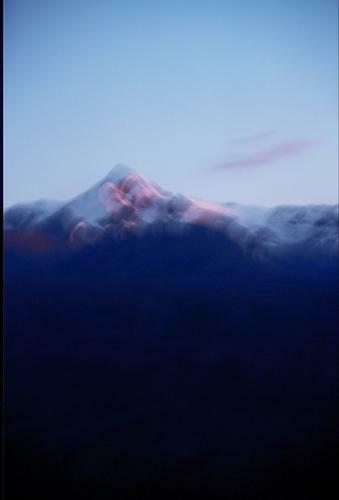 The research was focused on locating early occupations in the valley that utilized a source of obsidian (volcanic glass) that is known to be present in the valley. 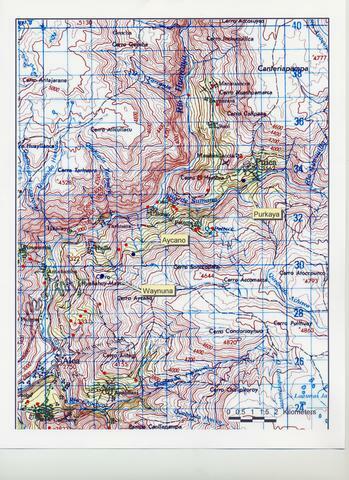 This topographic map shows the locations of archaeological sites in the Cotahuasi Valley. 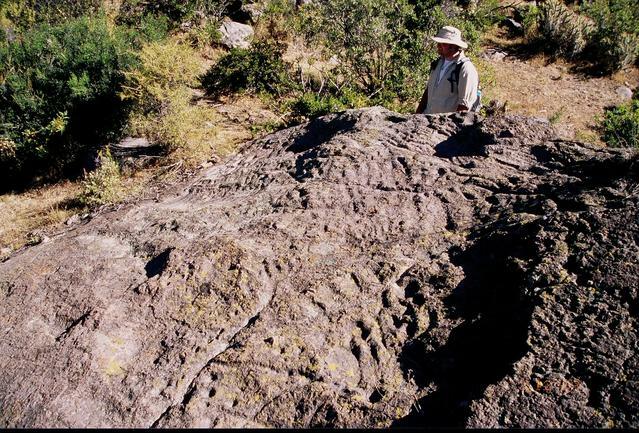 The site of Waynuña is where test excavations were conducted. 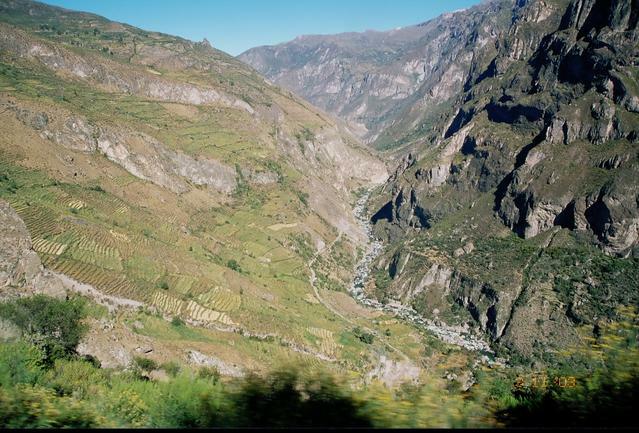 The only road to the Cotahuasi Valley passes from the Panamerican Highway northeast through the Majes Valley, up the Chuquibamba Valley and over the puna at the base of Mt. Coropuna. 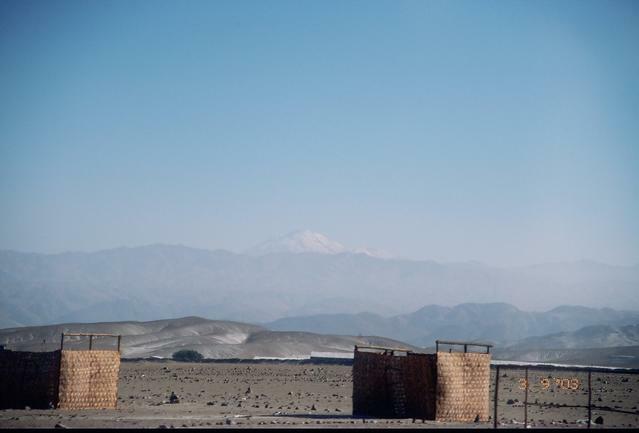 The bus trip takes around 14 hours from Arequipa. The Inkas linked regions in their empire by a system of roads. These roads are often no more than trails in flat areas, like this. Some Spanish chroniclers stated that the road was divided into two or three parallel paths, which were used by individuals of different status. This segment could reflect such a situation. 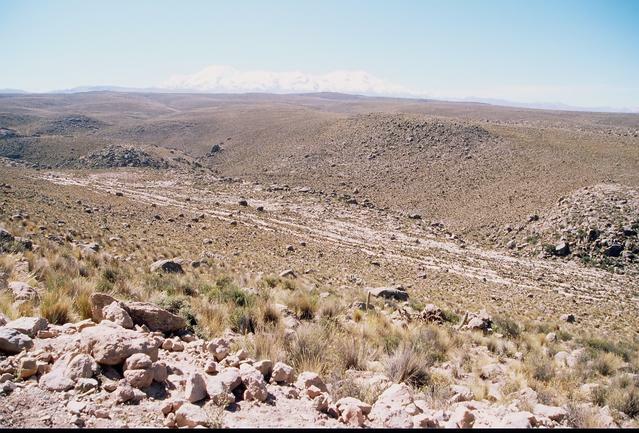 The road from Majes to Cotahuasi passes over the puna grasslands, above 4000 m, then drops down to the town of Cotahuasi, seen in the center of the photo. Its altitude is roughly 2850 m, making the descent one of over 1200 meters. Ancient terraces, still used today, line the gentler west slope of the valley. 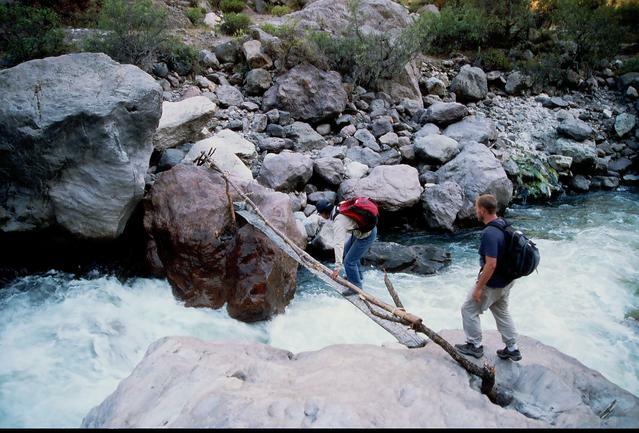 The Alca River has few fords, sometimes, as in the case here, nothing more than a split log. Not for the faint of heart! 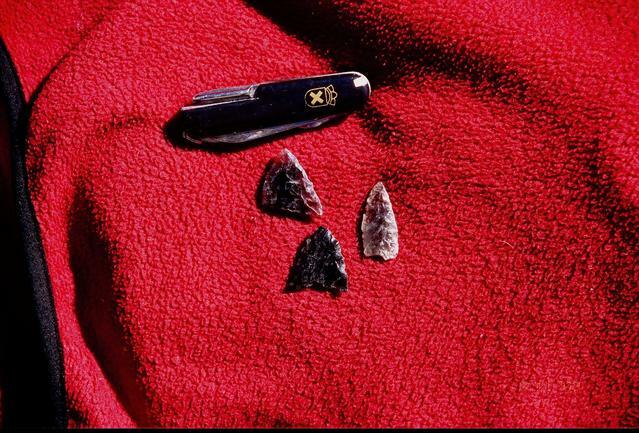 These points, used on the ends of darts and thrown with an atlatl, or spear thrower, are of obsidian, and were found at the site of Purkaya, near the town of Puica. They are over 5000 years old. 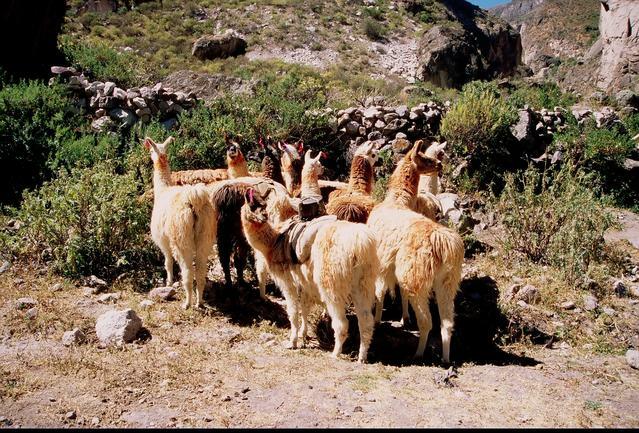 Llamas are still a principal beast of burden in the Cotahuasi Valley, and can be seen along the roads and in the fields wearing their colorful ear tassels. The tassels indicate ownership. A diagram of terraces and irrigation canals was carved into this large stone high above the town of Huilla. Whether it was a ritual stone or an actual model for the agricultural system below it is unknown. Due to the active vulcanism in the Andes, hot springs can be found in many areas. 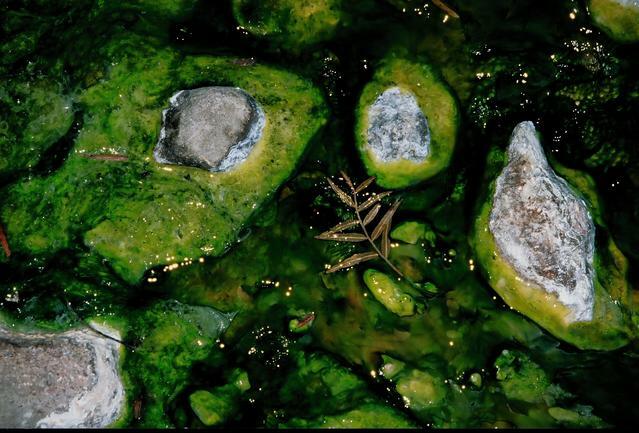 The deep green color is algae that thrive along such springs. The water is nearly too hot to touch! 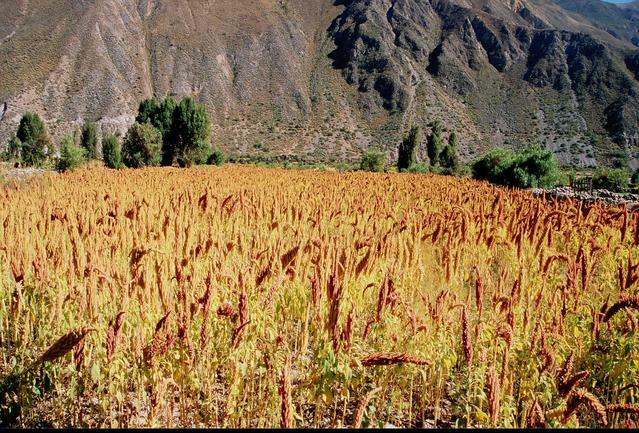 Cañihua is an Andean grain that is a main crop in the Cotahuasi Valley. Its bright red seeds are highly distinctive. The grain is high in protein, much like its relative quinoa. A dramatic view of the sunset over Mt. Solimana, as the crew left the Cotahuasi Valley. 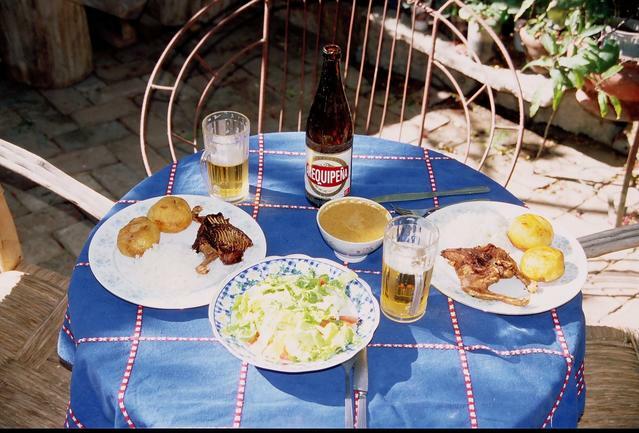 To celebrate the end of the field season, a traditional dinner of guinea pig, potatoes and beer is served. Qué rico!